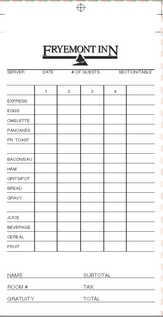 Pegasus Ventures brand restaurant guest checks combines plenty choice with volume pricing sure to please waitstaff and kitchen crews. 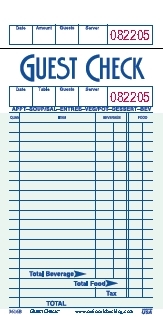 Proudly distributing the best known restaurant guest checks brand in North America for more than a decade Pegasus Ventures sells the entire line of nearly 100 different restaurant guest checks, waiter pads, and restaurant delivery forms/pads from the great people at National Checking Company. Both Pegasus Ventures and National Checking Company brand restaurant guest checks ship fast. An order received by noon eastern time ship the same business day with all other orders shipping the very next business day. The website acknowledges orders, allows customers to see the status of orders and sends an email with tracking information as the order ships. Tracking information ensures customers know when to expect delivery. 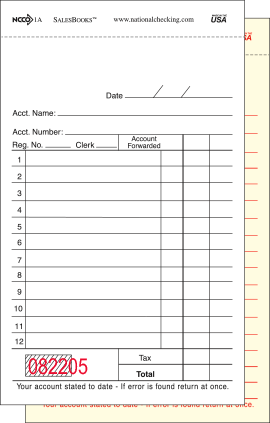 WaitRpad® guest checks are lightweight and have wider lines than similar medium paper checks. 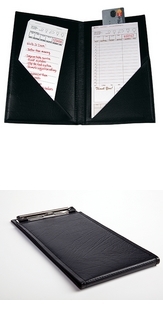 National Checking brand waiter pads are perfect for any environment where checks are handled once and entered into a POS system. 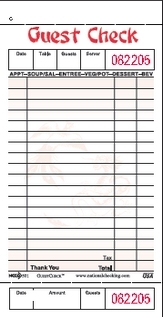 Small carbonless sales books create a duplicate copy without needing a carbon insert. 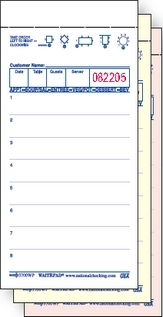 Sales books are perfect to record pertinent information when a duplicate copy is needed. 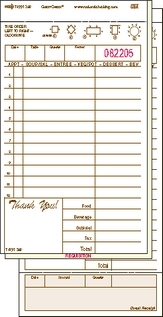 Guest Check holder and presenters for your restaurant guest checks from Pegasus Ventures Michigan and National Checking Company. 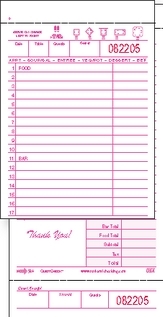 Make order taking easier and more organized with guest check holders and use a presenter to present the bill and collect payment and tips. 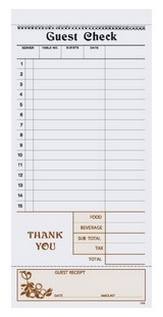 Pegasus Ventures own brand restaurant guest checks ship the same day or next day and come in a variety of styles with volume pricing options.